Super Smash Bros 3DS Smash Run, but there are no enemies in sight unless you consider Shotzo an enemy. Playing as Kirby. When you freeze the timer the enemies and bosses will eventually stop spawning within the level. It’s so quiet and peaceful here. And no the world of light music doesn’t pop up. I just edit that in since the gameplay music was off. No, I play it a lot still. Smash run is so chaotic, it's stupidly difficult. It's nice to see no enemies in sight for a change. +tucan Yeah they one touch kill you. They're not a problem…. if this game was 3D. I played this mode once and never played it again. That's a shame. It's way better than Smash Tour. I never did have a chance to admire the stage background with 327457556 bosses spawning in my face. I didn’t know World of Light has Smash Run. 0:15 'here's lies smash 4' because we are about to move on to smash ultimate in 23 DAYS!! On this day that I'm posting, it is now 16 days. Oh the memories. If they decide to add this in ultimate I hope they spawn less enemies or at least give us an easy mode. I wanna know how to do this! The song was edited into, also the name of the song is lifelight. Interesting thought, what if that place that Kirby ended up in world of light, was where Smash run takes place? Honestly I play a lot of smash run still. Whoever sings the song has a beautiful voice! 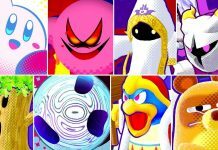 Oh, I get it, everyone is dead, and kirby is the only one alive. The description says there are no more enemies but the Shotzos are still here. The description also says "Unless you consider the Shotzos as an enemy"
I hope we fight enemies in World of Light like we did in Adventure Mode, Subspace Emissary, and Smash Run though I'm doubting it sadly. Hmmm that song by "world of light"
My Fellow Smashers Who Is Ready? N O B O D YI S H E R E ! 3:16 "p ü T ø"
3:17 did Kirby just say a bad word in Spanish!?!? 5:09 good job, Lucario buddy. 0:15 Who Died In There?